With Readly you can read Baka ljuvligt gott utan socker and thousands of other magazines on your tablet and smartphone. Get access to all with just one subscription. New releases and back issues – all included. 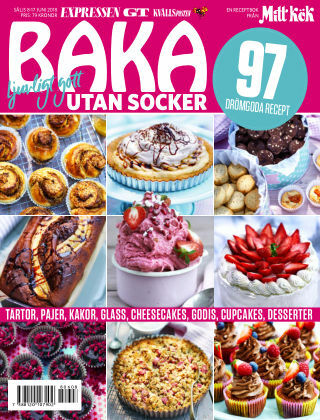 En receptbok från Mitt Kök - 97 drömgoda recept - Tårtor, pajer, kakor, glass, cheesecakes, godis, cupcakes, desserter.